Guitars are BACK, guys. At least that’s how it feels when listening to The Band CAMINO‘s latest single “Daphne Blue.” The monstrously fun riffs hit you in the face immediately after pressing play, and quickly the shredding is joined by lovelorn lyrics and drums big enough for Bridgestone Arena. The local pop/rock band release the track as they gear up for a mix of headlining dates and shows supporting Ben Rector. 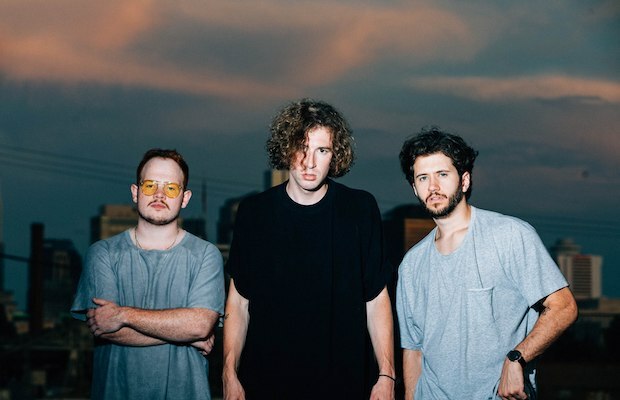 The Band CAMINO originally formed in Memphis back in 2015 by members Jeffery Jordan, Spencer Stewart, and Graham Rowell. Their 2016 EP My Thoughts on You, with standout track “The Black And White,” and 2017 EP Heaven drew comparisons to The 1975 and LANY. That connection draws from shared glassy-smooth pop sounds and intimate, emotionally-charged lyrics. It’s refreshing to see The Band CAMINO standing out in “Daphne Blue” by embracing rock guitars that have been largely missing from the pop landscape in recent years. With their move to Nashville earlier this year, the group are a welcome addition to Nashville’s ever-growing pop scene. Later this August, The Band CAMINO hit the road with Nashville soul/pop songwriter Josie Dunne before linking up with Ben Rector for a run that includes a stop at The Ryman Auditorium on Oct. 19. Get familiar and listen to “Daphne Blue” below!